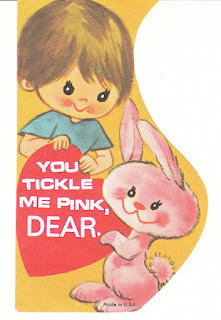 A little boy plays with a pink bunny rabbit on this vintage Valentine. 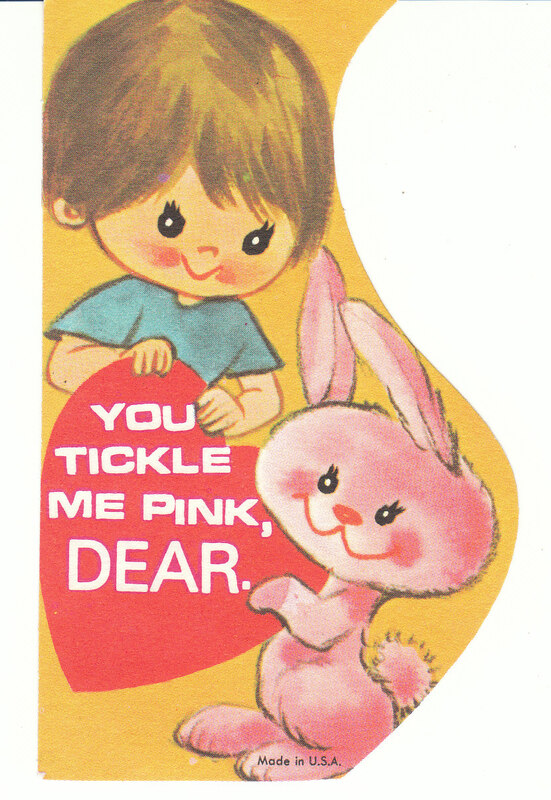 "You tickle me pink, dear." 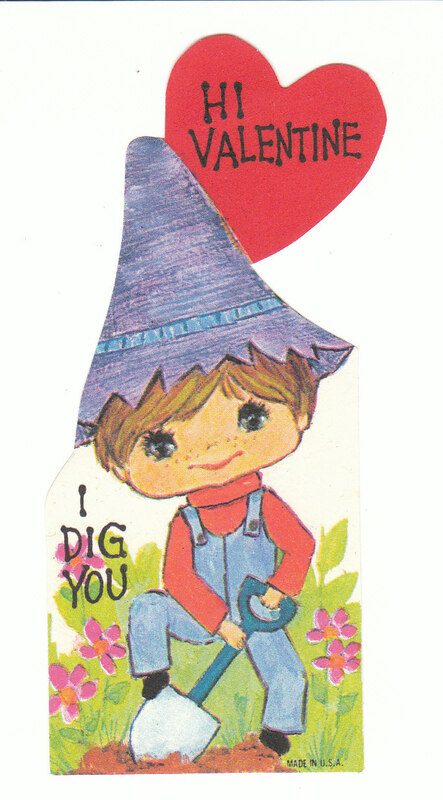 This cute 1960's Valentine shows a little boy gardening. "Hi Valentine - I dig you." 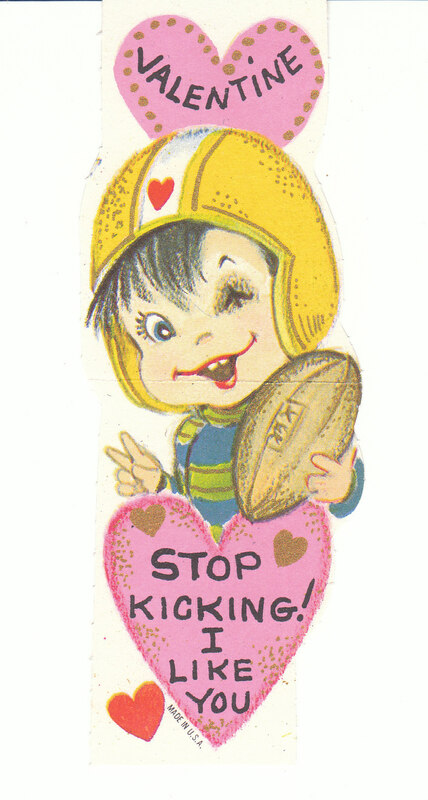 The little football player on this vintage Valentine has a black eye. 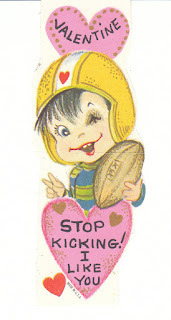 "Valentine - stop kicking! I like you." 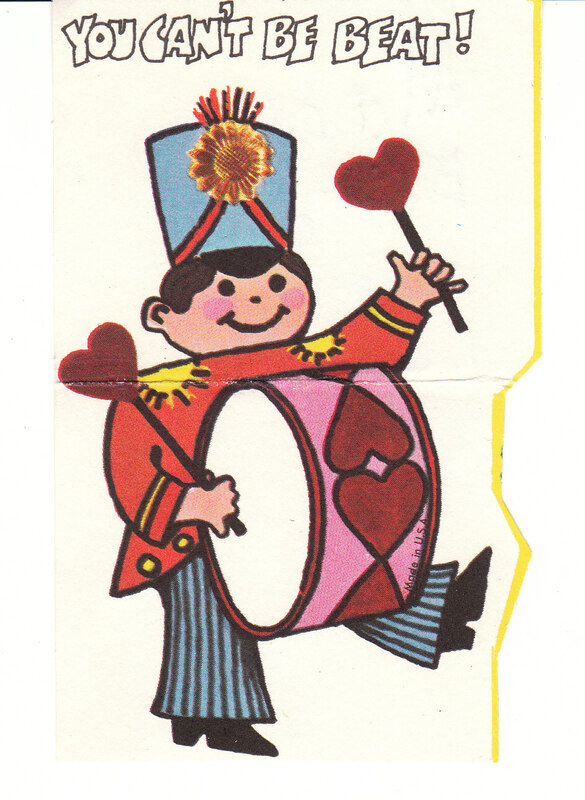 A little boy peeks out of a mailbox on this vintage Valentine. "To my pal - a special Valentine to say I like you!" 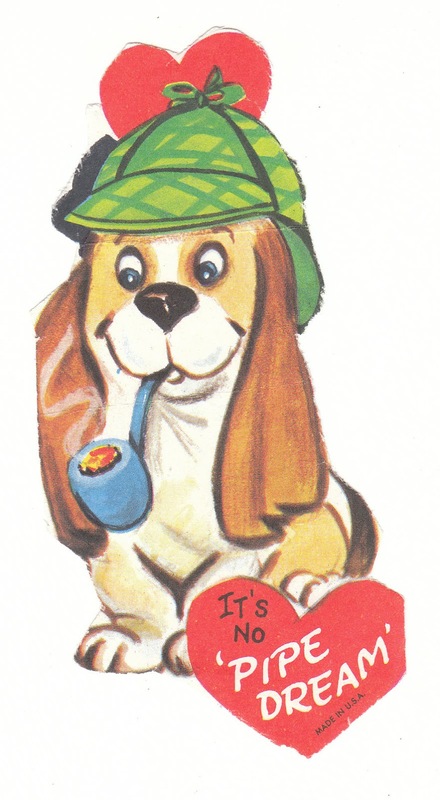 I love this Basset Hound vintage Valentine! The Basset is smoking a pipe and wearing a detective hat. "It's no pipe dream." 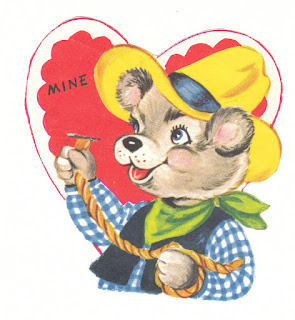 This cute little cowboy bear is preparing a lasso. 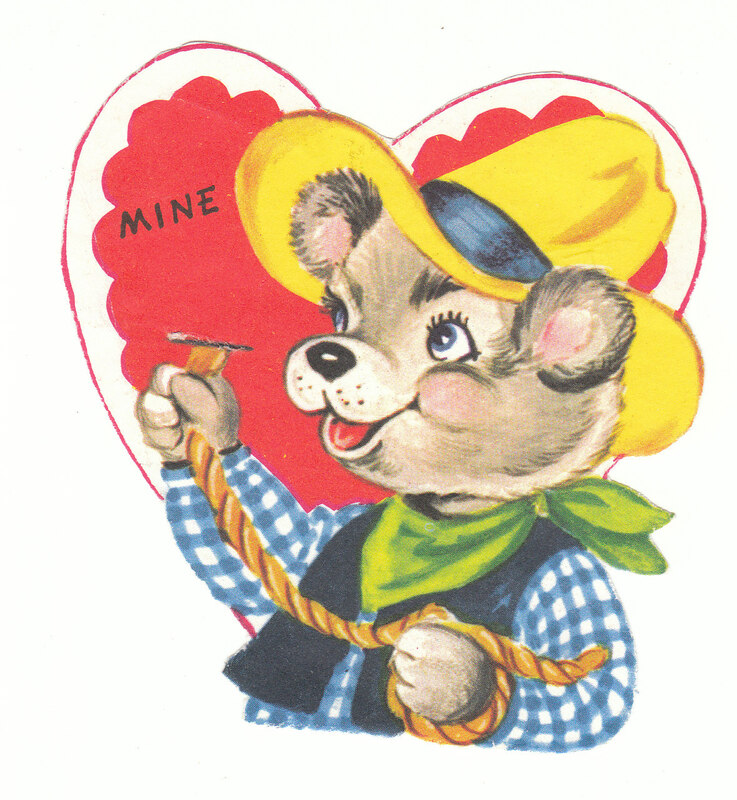 What a cute vintage Valentine! A groovy drum major beats a big drum on this vintage Valentine. "You can't be beat!" I hope you find some goodies here ... and wish you a happy weekend!